With all due respect to the French, the world's favorite bubbly is now officially Italian. After centuries of living in the shadow of Champagne, Italy's sparkling Prosecco has taken the globe by storm, outselling its French rival by a few million bottles and gaining such popularity in the UK that suppliers almost ran out in 2016. Champagne may have a corner on glamour, but the DOC and DOCG Prosecco has become universally beloved as an “everyday” bubbly, with an affordable price that belies its excellent quality and long history, and a crisp taste that makes it versatile enough to be used as a mixer, paired with savory dishes, or poured for a dessert toast. Though Prosecco may have begun showing up on the world's radar just recently, this wine is made primarily from the Glera grape, which has been cultivated since ancient Roman times in the area surrounding the town of Prosecco outside Trieste - the name “prosecco” derives from the Slovenian “prozek”, or “path through the woods” - previously known as Puccino. Pliny the Elder mentions Prosecco in his Natural History, published in 77 AD, mentioning that Julia Augusta credited wine from Puccino for her longevity. 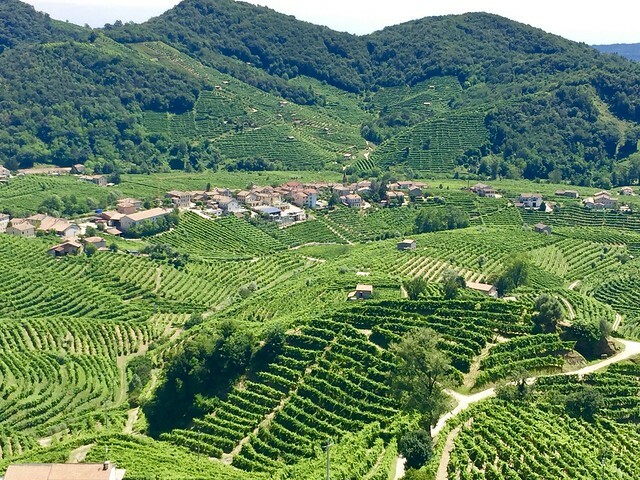 Today, the Glera grape is grown across the limestone-rich hills of Veneto and Friuli, though the most prestigious Prosecco di Conegliano-Valdobbiadene Superiore DOCG area covers just 15 municipalities between the towns of Vittorio Veneto and Valdobbiadene. The Superiore, along with the other three categories of Prosecco (Asolo Prosecco DOCG, Prosecco DOC Treviso, and Prosecco DOC), were awarded the protected DOC and DOCG status in 2009, though the denomination of Prosecco is one of Italy's most historic, recognized officially since 1969. The rolling, terraced landscape of the Prosecco region just northwest of Venice is one of the most picturesque in northern Italy, so much so that the “Prosecco Hills of Conegliano and Valdobbiadene” in Veneto was nominated as a UN World Heritage Site in 2010 to recognize and protect its unique geological formation and microclimate, natural beauty, and living tradition of vineyard cultivation that stretches back 1,000 years. Italy's most popular dry or sweet bubbly is made primarily with the historic Glera grape, but can also be made with other regional varieties like Perera, Bianchetta, and Verdiso and even international varieties like Chardonnay, Pinot Noir, and Pinot Gris. The most prestigious Conegliano-Valdobbiadene Superiore is sometimes made using the méthode champenoise (called metodo classico in Italy), like Champagne, but the other categories are made with the charmat, or tank, method. 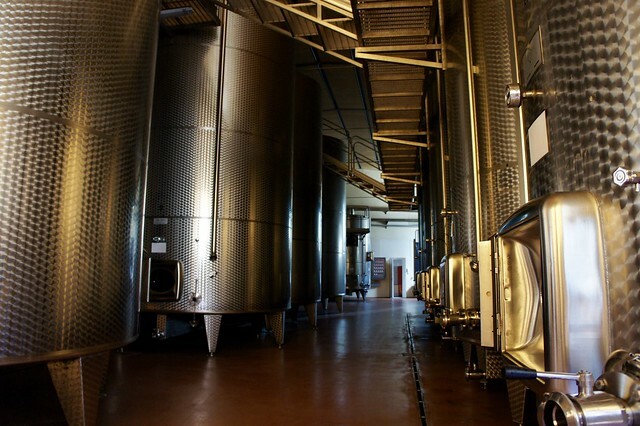 In this process, the wine's second fermentation takes place in large steel tanks rather than individual bottles, making for less contact with the “lees,” or yeast sediment and stronger, though less persistent, bubbles. The charmat method secondary fermentation is more efficient than the metodo classico, lowering the cost of production and thus the purchase price of Prosecco. In addition, this method is considered “cleaner”, letting the flavor of the aromatic grapes used to make Prosecco really shine through in your glass. 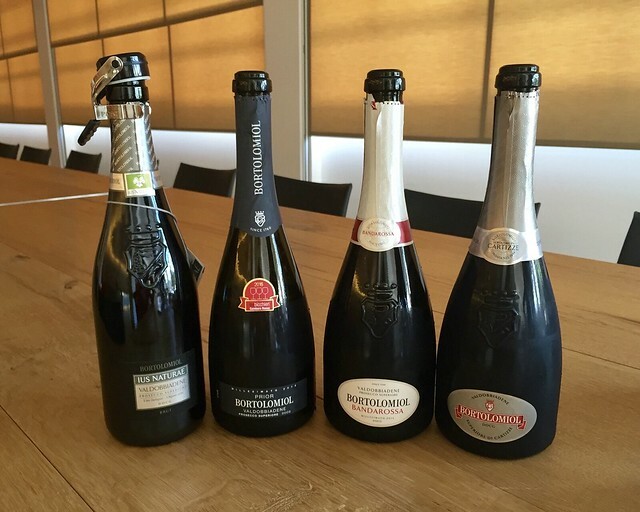 In short, the charmat method is probably the biggest factor in producing the perfect blend of affordability and taste that has led to the explosion of Prosecco's popularity over the past few years. When we think of Prosecco, we think of bollicine...but it hasn't always been that way. The Prosecco Romans and Italians quaffed until the 19th century was a still wine. It wasn't until Antonio Carpenè of the historic Carpenè Malvolti winery first began the process of a secondary fermentation in the 1870s that Prosecco became known primarily as a sparkling wine. 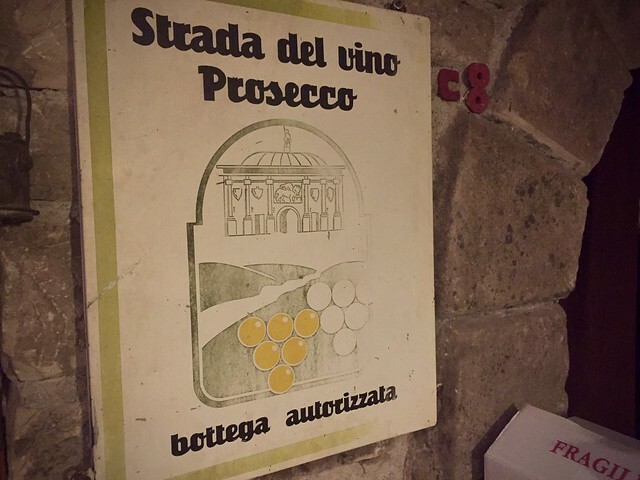 Today, Prosecco is sold with three degrees of “perlage,” or effervescence: the fully sparkling spumante, between 5 and 6 bars of atmospheres in pressure, with bold bubbles; the gently sparkling frizzante, between 2.5 and 3.5 bars of atmospheres in pressure, with more subtle bubbles; or the still tranquillo, where the aromatic flavor of the wine is not enhanced by bubbles at all. In addition to its aromatic flavor and affordable price tag, another factor adding to Prosecco's popularity is its pairing versatility. In Italy, Prosecco is one of the most popular choices as an aperitivo drink, paired with modest potato chips or gourmet finger food. It is also served more and more during lunch and dinner alongside fish and seafood dishes, light risottos, or pasta tossed with vegetables or clams. Or you can choose to finish your meal with a glass of dry Prosecco, a perfect foil to a rich pastry or dessert. Many of Italy's most famous cocktails use Prosecco as a mixer, including the quintessential aperitivo staple, Spritz (3 parts Prosecco, 2 parts Aperol, and 1 part seltzer). The Venice's iconic Bellini is white peach nectar and Prosecco shaken with ice, and its many spin-offs, from the strawberry Rossini to the orange Mimosa, are based on Prosecco. You can find a relatively inexpensive bottle of DOC Prosecco in any wine shop, but if you want to sample the best of the bubbly, spring for a bottle of the exclusive Valdobbiadene Superiore di Cartizze DOCG, the highest crù category. Produced in a tiny plot of 107 hectares near the village of Cartizze outside Valdobbiadene, this is considered by most to be the highest quality Prosecco made today and often carries a price tag of over €100, making it the perfect choice to toast to a special occasion.